There's a definite chill in the air in the morning and soon we will need to rug up for our dog walks. If you have a short-haired dog or an older dog who hates being wet or cold, now is the perfect time to invest in a high-quality dog coat to see them through this winter season and many more to come. 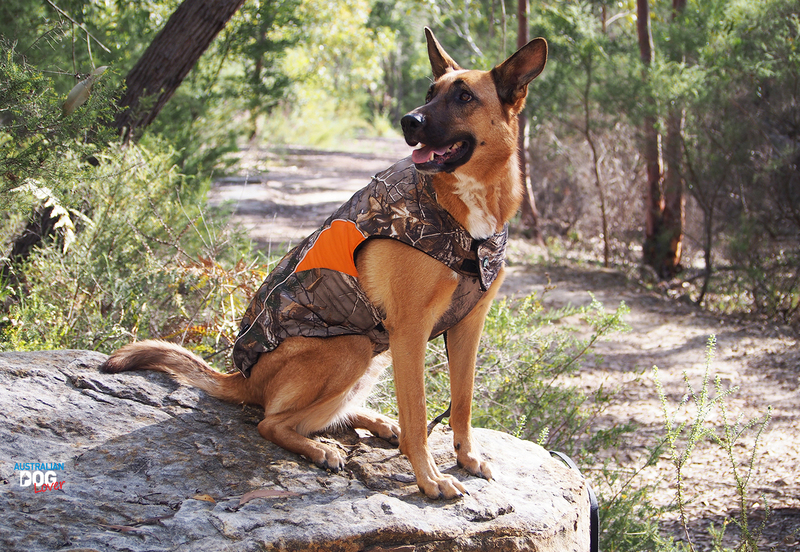 We recently reviewed Huskimo's Realtree Sherpha Dog Coat which impressed us with its unique camouflage fabric and stylish design but more importantly the sub-zero fleece lining that will keep your dog toasty warm on their outings this winter! Whether you have an adventurous dog or your pooch prefers a stroll in the city followed by a dogachino at his favourite café, this dog coat is versatile enough to suit every occasion! Please Note: entrants will need to select the size (7 available: from 33cm to 73cm in length) that will best fit their dog. Total Minimum Prize Pool is $195. 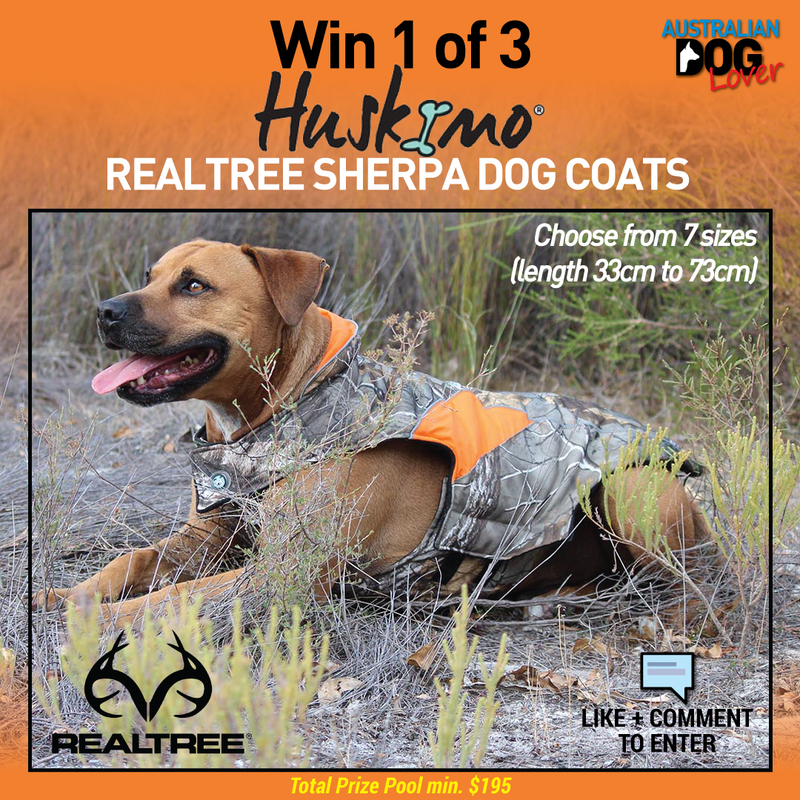 To be in the running, simply Like/Share + Answer this question correctly "what is the name of the fabric in this dog coat AND specify the size you'd like to win?" 1. This Competition will close on Sunday 6th May, 2018 (9pm). The 3 winners will be drawn and announced on Monday 7th May, 2018.